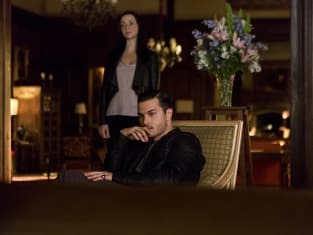 What side should Enzo choose? Is he really happy just being a member of Lily's "family?" It doesn't seem that way. 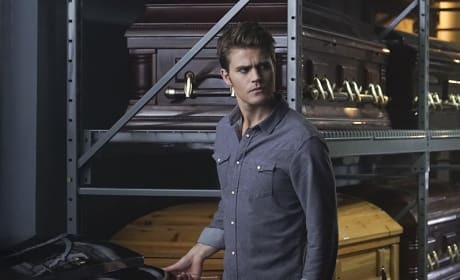 Stefan is surrounded by coffins in this scene from The Vampire Diaries. It's taken from the episode "Live Through This." Excuse me? Come again? Pardon? 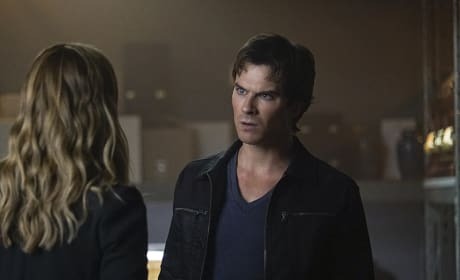 Damon has a few questions here for Valerie in this scene from The Vampire Diaries. Valerie has been a very welcome addition to The Vampire Diaries Season 7. 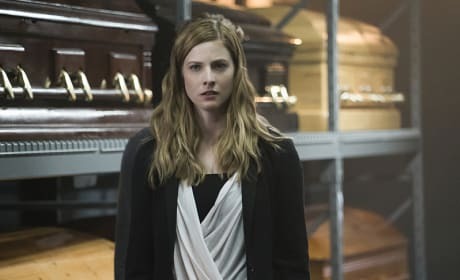 She and her fellow Heretics have all brought a new dimension to the series. Enzo has a crush on Lily. 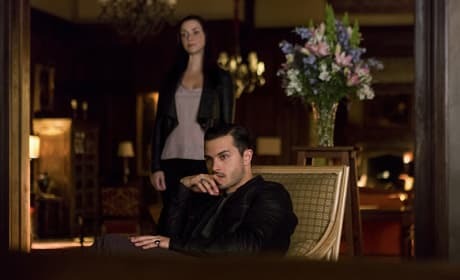 Lily was once in love with Julian, and now Julian is coming back to Mystic Falls. Do we sense some tension as a result? And what do we have here? 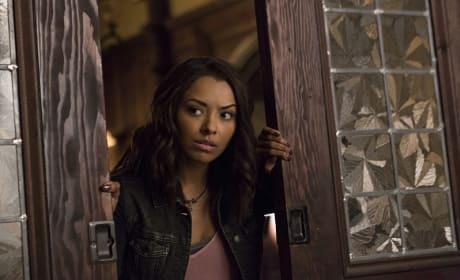 Bonnie appears to be on the case in this scene from The Vampire Diaries. 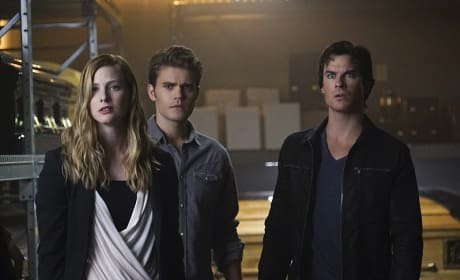 Valerie is seen here with Stefan and Damon. 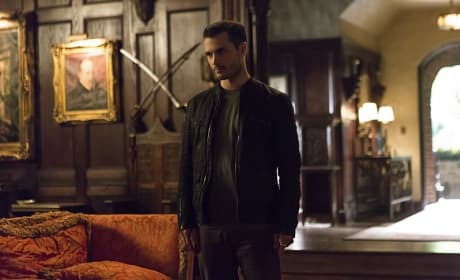 She shares quite the history with one of the Salvatore brothers. 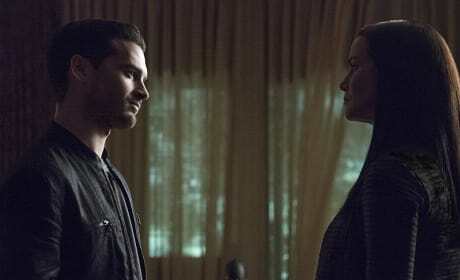 Did Enzo choose the right side? 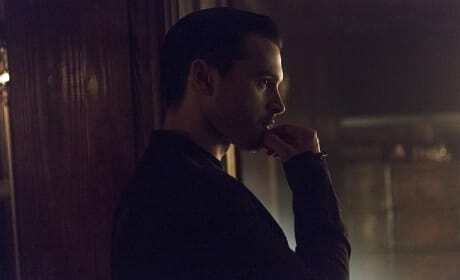 He's deep in thought in this scene from The Vampire Diaries Season 7.